Nandi Mehta battles for the ball. The graduate midfielder will lead Northwestern into a home matchup with Michigan State on Thursday. After a middling set of performances on the road, Northwestern (10-1-1, 3-1-1 Big Ten) returns to Evanston looking to get back in the win column against Michigan State (5-6-1, 2-3-0). The Wildcats are 1-1-1 in their last three games after winning nine straight to start the season. In a 2-0 loss to then-No. 22 Rutgers on Sept. 23, NU took just three shots to the Scarlet Knights’ 20, and in a scoreless draw against Ohio State last weekend, the Cats were outshot 28 to nine. Those results have knocked NU, which entered the game against Rutgers at No. 21, out of the national rankings. The Cats will face the Spartans looking to recapture the magic of their unbeaten start and prove their dominance in the Big Ten. Although Michigan State isn’t one of the top teams in the conference, NU has a chance to build momentum with a win ahead of a matchup with Big Ten-leading No. 19 Michigan on Sunday. The Cats defensive unit remains one of the strongest in the nation despite the team’s recent struggles. After shutting out the powerful Buckeyes offense, NU now surrenders 0.33 goals per 90 minutes, the third-best mark in the country. 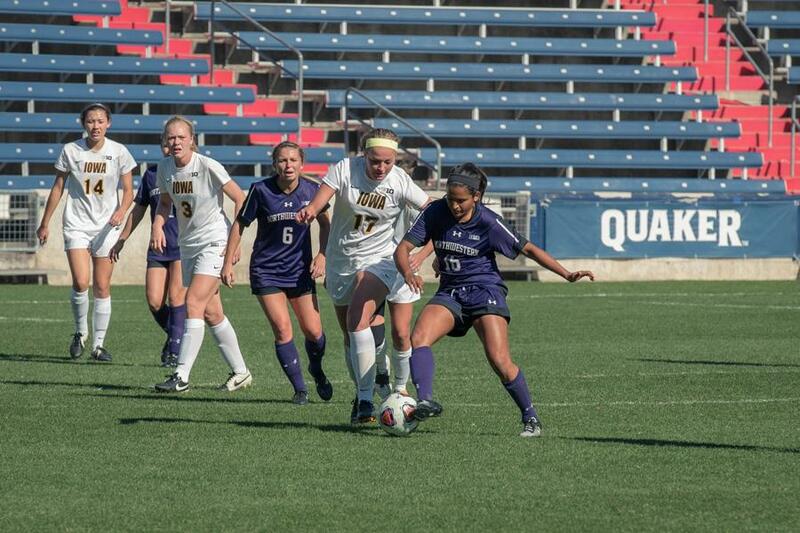 Sophomore defender Kayla Sharples said the defense’s communication sets it apart. While the Cats have locked down on the defensive end, NU’s offense has been inconsistent in recent games. The team put up four goals in a Sept. 25 win over Maryland, but struggled to put away the chances it had against the Scarlet Knights and Ohio State. Sophomore forward Brenna Lovera, the Cats’ leading goalscorer, is out indefinitely with injury, passing the goalscoring burden onto other players. But coach Michael Moynihan said he is still confident in his team’s offensive ability. NU now sits in a tie for third in the Big Ten, and the top four in the conference standings play their opening games of the Big Ten Tournament at home. That advantage might be especially valuable to the Cats, who have shutout victories in all six of their home games this season. Winning this game against Michigan State would help solidify NU’s position in the conference standings, and graduate Midfielder Nandi Mehta said home-field advantage matters to the Cats.